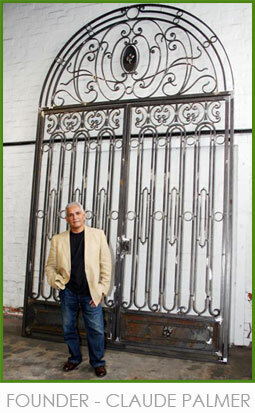 PALMERS Exclusive Metals was founded by Claude and Theresa Palmer in 1968. From humble beginnings PALMERS have managed to survive and to become the leading trendsetters in the wrought iron industry, winning numerous prestigious awards for outstanding quality and creativity. As the years progressed, the second generation have taken over in principle. However, Claude & Theresa are still very much active in the business. We are a family owned company and several of our staff compliment has been with us in excess of 20 years! 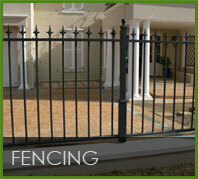 We specialise in perimeter fencing, gates, balustrades, palisade fencing, etc. be it ornate or standard. We cater for the residential market as well as commercial, body corporates, schools, institutions, etc. We also provide additional services such as automation, full access control, electrified fencing, remedial building work, etc. 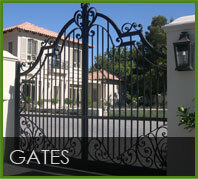 For Golf Estates, Gated Villages, High Profile Residential Estates, Body Corporates, Prestigious Industrial Parks, etc. We offer a fully managed service from initial custom design, alternative options and applications, site management; thus catering for your individual needs and obtaining the desired result. 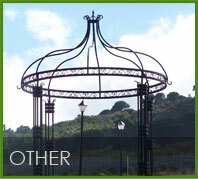 For the discerning connoisseur, we are renowned for several decades for intricate ornate wrought iron designs by still using the old age traditional art of hand forging, achieving a superior unique design. 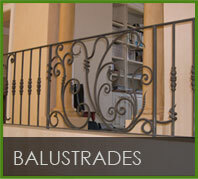 We guarantee only quality products with top class workmanship. We pride ourselves in only doing honest business transactions. We empower our staff by means of continuous in house training, individual motivational talks and other training.